Note: As one of the world's most seismically active countries, it may come as no big surprise that Japan has over 100 active volcanoes, the most of any country in the world. On Sat. Sept. 27, 2014, the Mt. Ontake-san volcano erupted without warning, killing 57 hikers. Before setting out for the high country, climbers would be well advised to check out the current volcano warnings from the Japan Meteorological Agency. On that page, to drill down to specific areas within the Japanese archipelago, click on the "Area" drop down box where it says "Japan". For example, here is the more detailed map for the Kanto (Greater Tokyo Metro) region. Let's be frank....I'm obsessed with the highest mountains in Japan. During my long-term tenure in Japan, I've been blessed to have had many opportunities to pursue my favorite hobby....mountain climbing. Being from Houston, Texas, which is very flat (we don't even have hills), I've always been fascinated by mountains. 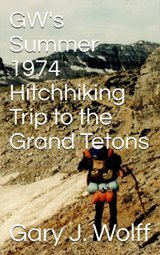 I acquired hiking fever while I was still a Boy Scout, when our scoutmaster would take us on summer camping trips to experience the gorgeous mountains in Colorado & New Mexico. But I didn't start doing serious mountain hiking until I was in college. And there is no question that I definitely succumbed to the John Denver "Rocky Mountain High" fever that was prevalent in the early 70's. That Rocky Mountain euphoria had a big influence on my choice of workplace locations through the years and, in turn, my career path as well. So ever since arriving in Japan in 1991, I've been chipping away at the list below of the highest mountains in Japan. I guess you might say I just really enjoy getting high !! Got a question or story about climbing the highest mountains in Japan? I was once asked by a friend whether my recent trip to the Japanese Alps was real "climbing" or just "hiking." "Hiking" in the Japanese Alps is a real pleasure, even in the most vertical sections, as there are always plenty of ropes, chains, ladders, and even steel stairways to assist you. This is great, as it means there is no need to lug along any heavy technical gear like ropes, axes, or pitons. One of the beauties of living in Tokyo is that exercise is already built-in to our everyday lifestyle. You walk or bike to the train or subway station and, thru the course of a typical commute, have to negotiate FLIGHTS and FLIGHTS of stairs in the stations. And we don't "hike" stairs....we "climb" them. So even if we "hike" to the top of a peak, I would argue it's definitely a form of climbing, especially in the many cases where you gain well over a vertical mile (~1609m) in elevation. The awesome "hiking" section shown above is called "kani-no-tatebai" (Japanese for "crawling upwards like a crab"), near the summit of Mt. Tsurugi-dake, the 22nd highest mountain in Japan. Whether one wishes to call it climbing or hiking, you can be the judge. I'm certainly no technical rock climber, and have used ropes, crampons, or ice axes only a handful of times in my entire lifetime. Actually, the closest I ever came to true mountaineering was in Sept. 1979 when with friends I climbed Gannett Peak, the tallest peak in Wyoming in the spectacular Wind River Range, which contains the largest concentration of active glaciers in the American Rocky Mountains (this was my 3rd attempt at Gannett Peak). Nonetheless, Japan has some of the most spectacular peaks I've ever had the pleasure of climbing, and thru the years I've somehow managed to get atop all of the 29 highest mountains in Japan, and 38 of the tallest 50. With the exception of Mt. Fuji (富士山), the highest mountain in Japan, & Mt. Ontake-san (御嶽山) which are independent peaks, all of the nation's 25 highest peaks are in the Northern, Central, or Southern Japan Alps mountain ranges, with 12 in the north, 10 in the south, and only 1 in the Central Alps. Recently I was invited to speak about my Japanese mountain climbing adventures to an English-speaking club of senior citizens in Tsudanuma, Chiba. As part of my presentation, I decided to put together the 4-minute video below, reflecting back on my quarter-century of climbing Japan's gorgeous peaks. I chose Enya's "Caribbean Blue" as the BGM. I believe the final frame in the video sums it up well: "Can you see now why I love Japan so much?!" In Oct. 2009 I created the customized map below, as I thought it'd be cool to see all of the 25 highest mountains in Japan at a glance. My love affair with Japan's high country has been pretty much an annual summer obsession. During my 1st couple decades in Japan, only in 1992, 1999, and 2004 was I unable to escape Tokyo's concrete jungle. And in 2005, due to severely inclement weather, a friend & I were unsuccessful in my first attempt at Mt. Kashimayari-ga-dake (鹿島槍ヶ岳). I also failed in my first attempt at Mt. Oku-hotaka-dake (奥穂高岳), Japan's 3rd highest mountain. Since my teenage days as a Boy Scout, I've been passionate about the alpine country. Through the years I was fortunate to have had enough free time to ascend to the top of 13 of the U.S. state highpoints (including Mt. Whitney, California's highest mountain & the highest peak in the 48 contiguous states) and 12 of Colorado's 54 famous "Fourteeners" (peaks higher than 14,000 feet (~4267m)). Mt. Whitney, elev. 4421 m (14,505 ft), climbed in August '89, was without question one of the most awesome peaks I've ever scaled. If you get a chance, pls. check out this amazing 360-degree panorama from the top of Mt. Whitney made by one of my climbing buddies, back before there were digital cameras. And I've found hiking up the highest mountains in Japan to be very liberating to my spirit....the fresh air, flowers, wildlife, breathtaking sunrises & sunsets, the Milky Way & SO many stars in the sky, and 360-degree panoramas can be quite exhilarating. There's nothing more rewarding than the view from the top of the peak, seemingly with the world at your feet. Mt. Fuji (富士山), referred to by the Japanese as Fuji-san, is climbed by at least 400,000 people every year and, including the hundreds of thousands of tourists who travel up to the 5th Stations for sightseeing & don't even climb the peak, it comes as no surprise that Mt. Fuji is generally regarded as the most visited mountain in the world. Because it is the tallest mountain in Japan, rises up magnificently out of nowhere, and is unobscured by any surrounding foothills, on a clear day Mt. Fuji can be easily viewed from over 150 kilometers away. I can often see Mt. Fuji from my apartment building on the far east side of the Tokyo metroplex, around 120 km (~75 mi.) away. With a near-perfect volcanic cone and snow-capped most of the year, the tallest mountain in Japan is also considered one of the world's most beautiful peaks. 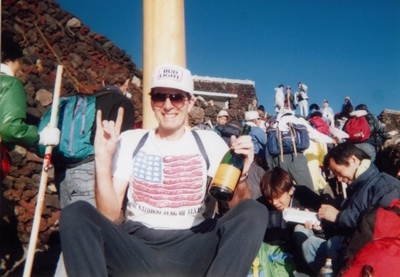 The attraction for me was immediate, and within only 4 short months of moving to Japan over 25 years ago, I was standing atop its summit. Thru the years I've always gotten a good chuckle at the version of the old Japanese proverb specially modified for the benefit of foreigners: "If you come to Japan and don't climb Mt. Fuji, you're a fool; but if you climb it more than once, you're an even BIGGER fool." Cracks me up....every time. But I guess only those who've actually climbed Mt. Fuji can truly appreciate the significance and wisdom of the old Japanese saying. 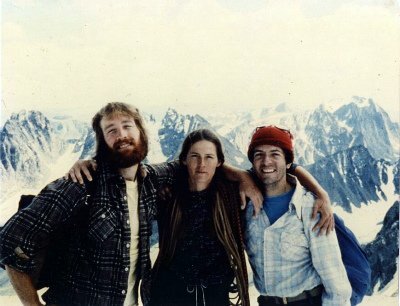 To assist those who wish to avoid being a fool, I've compiled a growing list of some of the more frequently asked questions (FAQ) about climbing Mt. Fuji. Several years ago I had an opportunity to participate in an innovative project conceived by a grad student in South Dakota that he called the 800x600 project. He solicited many interesting 8x8 photo collages from all over the world, with the requirement that each photo be sized 100x75 pixels and pertain to some common theme. When I first heard about this project from my sister, I immediately knew my contribution would be about the highest mountains in Japan. 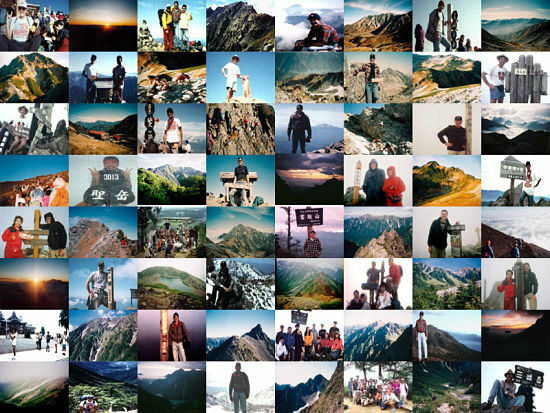 The collage below, entitled "The View from the Top of Japan," is a scaled-down version of the one I submitted as part of the project. The original full-size 800x600 pic is here. Oh yeah, one of the best reference sources I've found for climbing the highest mountains in Japan is Hiking in Japan by the Lonely Planet, which was updated in Aug. 2009. Mom always worries herself to death whenever I trek up into the high country, and yet she often reminds me to never stop mountain climbing, as "that's what keeps you young, Gary." Stay tuned as I continue to populate this section of my website with pics, videos, route maps, elevation profiles, and more details on the highest mountains in Japan, based upon my climbing experience here over the past quarter-century. 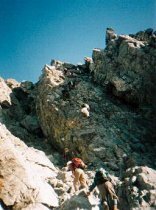 In the meantime, feel free to check out my links to other noteworthy mountain climbing sites in Japan. And believe it or not, in Sept. 2012 I finally got around to publishing my mountain climbing book entitled "The View from the Top of Japan" (first in eBook form, then a couple months later in paperback), sharing my adventures in the Japanese alpine country. I hope you'll have time to check it out. If you have any questions, comments, or stories to share, by all means please do so by using the form below. I'd be delighted to hear from you, as I'm sure so will future visitors to this page. Thanks so much for stopping by! Have a Question or Story about Climbing the Highest Mountains in Japan? Do you have a question or story about climbing the highest mountains in Japan? Be among the first to pay it forward and share your climbing experience (along with up to 4 pics) with other visitors to this page still planning their climb! Which Japanese mountain range should I go to in August? Are there any physical stores to rent climbing gear in Tokyo? Are there any log books at the summits of Japanese mountains? Are there any small mountains in Japan to climb? Which peaks in Nagano area would be suitable for a novice? Where to go on my 9-day non-looping hike? Which is the easiest to climb? 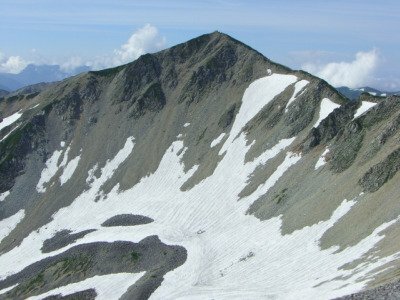 Mount Kita-dake or Mount Yari-ga-take? Is it possible to hike in Japan in early May? Can you recommend any tour groups or outfitters? Are Hiuchi, Kitadake, Aka, Ontake, Komaga, Haku, & Oku-shirane day hikes?